Samsung tried to compete in the messaging app market against competitors such as WhatsApp, Kik, iMessage and others. Samsung was not able to gain the user base that any of their competitors could simply because no one really knew about ChatOn. However, it seems to be a little too late as the app is going to shut down February 1st, 2015. However, users in the United States will be able to use the app throughout March. This gives users some time to transfer all of their contacts to another messaging app, such as WhatsApp or BBM. 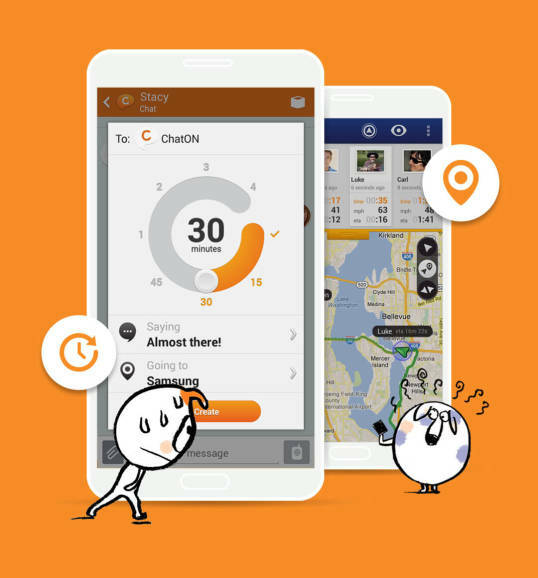 Samsung has stated that their main reason for ending ChatOn was because the instant messaging service has become a “fast-changing market environment”, and that this move will help Samsung focus more attention on its mobile phone division. While there were not many users to the little messaging service it was still a respectable amount of 100 million users worldwide. Keep in mind though that the service was available in over 200 countries and it is dwarfed by Whatsapp. You had a great run ChatOn and you will be missed by your users, and for those of you who haven’t already looked into it BBM and WhatsApp are the two largest competitors right now.